one of the UK’s leading outsourced suppliers for debt resolution. These are three words often used to describe First Locate, and it makes us immensely proud. It is very easy to get caught up in cost-saving, KPI crunching and churn rates, but we have never lost sight of the most important element in the debt resolution process. The Customer. We have developed some of the UK’s most advanced Contact Centre technology and have access to over 400 million data points for UK customers, combined with our Government compliant levels of data security and processing; First Locate are highly effective at resolving and processing debt for our clients. Alongside all this technology we have developed a culture of empathy within our 300+ workforce so any customer contact will reflect favourably on your brand. First Locate are one of the UK’s largest outsource resources for debt resolution and payment processing. We make outsourcing easy and financially viable for large-scale organisations. Find out how our comprehensive range of services can fit into your organisational structure. First Locate work with many of the UK’s largest companies in Utilities, Retail and Government. 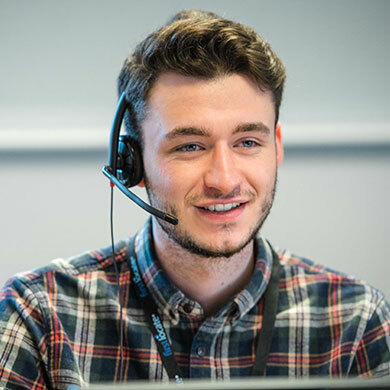 Our focus on technology, data security and delivering an empathetic service to your customers has helped us stand out from an industry traditionally focussed on churn rates, KPI’s and overseas call centres.